What do you do when you come across real fine treasure – something that makes the cut on all possible parameters of finesse and value! YOU GO FOR IT! 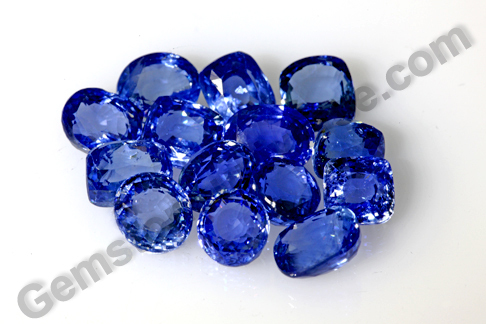 Awesome, rich, jaw-dropping beautiful – Gemstoneuniverse presents its new lot of Super Premium Blue Sapphires – Neelvarna. The entire parcel of gems is utter and pure delight. Eye clean gems, great jyotish weight, clear and mesmerizing, electric lustre, treatment free, striking rich color with uniform spread and saturation – only some of the hallmarks of this Premium lot. Sourced from the best gem mines of Srilanka, all blue sapphires in this parcel are handpicked, to rule out any doshas that could render them unsuitable for planetary gem therapy. The gems in this lot are high value gems, possibly for the connoisseurs. 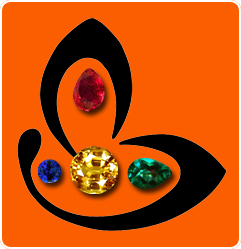 Anyhow at Gemstoneuniverse, the mantra is – “A gem is for a gem” and it is firmly believed that these gems will draw out the ‘gems’ who will honor and wear them. Please note that finding jyotish quality gems of this size, weight and attributes is no mean feat. Each gem promises to deliver full value and it will only escalate in value over time. Wouldn’t be wrong to say that here lies potential for investment! Natural blue sapphire or neelam gemstone is there a gem of Lord Saturn/Shani. It is the jyotish rashi ratna for the Zodiac signs of Capricorn and Aquarius. The metaphysical properties of Blue sapphire are well and widely known and so is the fact that it is a very fast acting gem with fantastic transformative energies. Blue sapphire is a gem that rectifies the dysfunction of perception and helps establish a connect with truth and reality – just like its ruling planetary energy – Saturn.